The Mutiny Project | Surviving as a start-up in the new business economy. There is a new, more human, way of doing business that is crushing the old ways. The Mutiny Project is an assembly of the entrepreneurs doing it. It’s the 165th most visited site in the world. Jack Herrick, founder and CEO, is also the former owner of eHow, the 19th most visited site in the world. In the video below you’ll discover how wikiHow grows itself with almost zero dollars spent on sales and marketing. You’ll get four questions to ask yourself to see if you’re in the right business and Jack shares the personality trait in a team member that is the single best indicator of high performance. As Jack Herrick shares the pitfalls and triumphs of starting a user guided software business, you’ll gain years of powerful insights. Click Like below to unlock part 2, MP3′s, and transcripts. How does a company go from a single entrepreneur or partnership working out of his/her home to building amazing software, teams, and systems that make it all come together? We ask Jack the very questions needed to answer just that, and you’ll be surprised at what we unwrap. In part 2 he shares specific tools, ideas, and processes he’s using to drive over 30 million people to his website every month. Like The Mutiny Project on Facebook to watch Part 2 and for MP3 downloads of the interview. It’s a Mark Cuban funded startup known as “the marketplace for mobile app acquisitions.” Jonathan Kay, Founder and CEO, was also former “Ambassador of Buzz” for Grasshopper which is one of the largest virtual phone system companies. During the video you’ll learn how post-Mutiny sales and marketing professionals are crushing their old school competition with honesty and genuine humanity. In addition, why it no longer makes any sense to keep secrets. Plus Jonathan shares the five ways sharing your ideas will make you win in the new economy and three ways to preserve your reputation in this new world of almost total transparency. Columbia Business School Professor … founder of a Fortune 500 … Inc.com author … serial entrepreneur … where do you start with a guy like Bob Dorf? Startup Owner’s Manual became a go-to text in over 60 universities around the world within 6 months of its release. What kind of advice would such an author have for your start-up? Watch Part 1 to find out. What kind of deadly mistakes are start-ups making today? Is the freemium model a serious mistake? Watch Part 2 and you’ll learn all that and more. Where does a man recently rated as “the #1 most respected VC in the world” think we’re headed? Brad’s thoughts are very much in synch with The Mutiny Project. He believes that “networks are replacing hierarchies.” What does he mean by that? Watch the video to find out. Click Like below to unlock part 2 and MP3′s. So, where are these technological shifts taking us? It gets pretty sci-fi in this section, but … sci-fi may be the best predictor of the future at this point, and perhaps a valid part of the analytical tool-kit for business. OK, that’s not all kids. But it sure is Matt Mickiewicz. Want to learn how he did it and what he’s learned along the way? Then you’ll definitely want to tune in to this video. What hard lessons has Matt learned along the way? Matt holds absolutely nothing back in Part 2. Look at the young man selling coffee in the train station. He’ll never go anywhere right? Maybe not … Jordan Gutierrez got his start doing just that. Now he runs the largest medical textbook distribution site in South America. If you think the startup revolution is only happening in Silicon Valley, you’d be thinking wrong, Mutineer. If you feel like all the cards are stacked against you, this video is sure to set your mind right. In Part 2 Jordan reveals the difficult lessons he learned along the way and where he’s going next. The Mutiny Project is built in partnership with Simpleology® in an effort to bring you insights from founders who are disrupting the old ways of businesses and bringing unparalleled value to the world. Access is 100% free of charge. Technological shifts are forcing business to change its old ways. Deception, secrecy, and unethical marketing are being phased out and replaced with a more open and transparent economy. Fortunately, these changes just so happen to be good for the world. 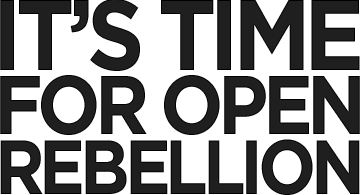 Businesses practicing these new ways are in open rebellion against the businesses practicing the old ways. Learn directly from the guys doing it the new way. You'll be the first to know when the next wave hits. Established in 2005, Simpleology® helps you get more done in less time by simplifying your workflow, putting everything important in one place, and establishing habits that save time. Nearly one million users and growing, most all through word of mouth.